Okay, so let’s see how I did . . .
Yep, that was 7.8% of my Target Saved. And this is how things look like, after the dust settled on this payday’s budget . 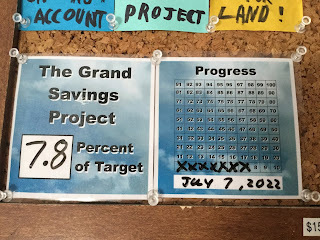 . .
That’s right it went up to 8.7% of my savings target. 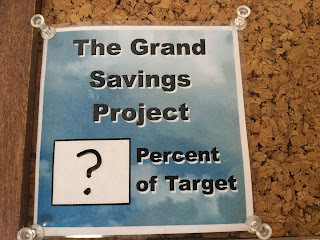 That actually means that I put less than 1% of my savings target away so, I lost ground, sorta. 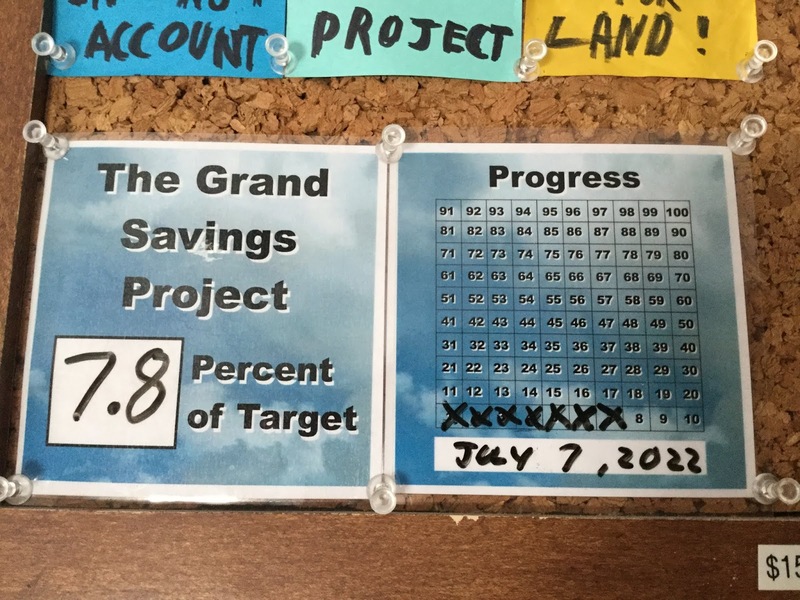 My target is to put at least 1% of my total Savings Target away each and every payday (truck insurance payday notwithstanding). I will chose to look at this as I still moved the number forward and still crossed off a box, as I went from 7% to 8%. The less than a percentage points matter in me “stealing a box” meaning when I get to cross off two boxes due to those little bits extra adding up. You know as in going from say 9.9% to 11.0% due to the way the numbers fall. Again, I will get there but I am just still getting into the rhythm of the savings. As I have said, any cash put into savings is doubly-earned. You earned it once when you worked for it, but you earned it again by finding a way to put it aside. In this economy and with ever increasing costs of living, it will continue to be ever harder to save and just break even while living in a fixed address. I continue to do what I am doing so I can get ahead and I can start that town. I will get there, one payday, one savings contribution at a time.